If you are looking to move somewhere more affordable and where you can make a living, good luck. Most areas with low unemployment rates have sky-high home prices, even out into the exurbs, which can make for long commutes and a very low quality of life. To find a city where you won’t pay a half-million dollars for a home and can find a job, you need to dig around a bit deeper. Actually, we’ve done the digging for you, so here are 10 cities where your mortgage could be less than your family iphone 5 cell phone bill. Scranton, PA—there’s no Dunder-Mifflin paper company here, but there are a lot of down-to-earth people and, better yet, down-to-earth mortgage payments. The average home price in Scranton is still under $150,000, which means miniscule payments for you. The city leaders have poured millions into rebuilding this town’s economy, and the fruits are starting to show for their efforts as tech firms come and a new medical college spins off several other industries. Beaumont, TX—the natural gas, petrochemical and port industries are all doing well here, but home prices have not caught up yet. Your average home price here costs under $140K, and the city’s job growth stands at 10%. There’s plenty to do here, and if you want to go big time, Houston is just 85 miles away. Kalamazoo, MI—not all is lost in Michigan, and this city in the southwest is working hard to rebuild its business structure through a combination of private education and health service jobs. Home prices average around $140K. 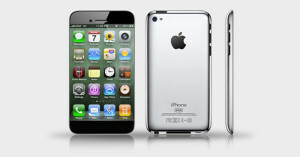 With 25% down and a 4% mortgage your monthly principal and interest is $501, not far off from your iphone 5 family plan. Heck, you might want to move here just to take advantage of the Kalamazoo Promise, a nonprofit that gives full scholarships for state universities to children who attend city public schools from kindergarten through high school. Rochester, NY—there are a lot of state jobs in Rochester, as well as growing opportunities through the city’s higher education institutions. Average home price in Rochester is a meager $150K, and the city has a nice population mix. This part of the Rust Belt has not rusted out. Oklahoma City, OK—the energy and aerospace industries continue to push Oklahoma City’s unemployment rate down, while homes still average about $150K. Boeing is moving more operations to OKC, and the NBA team is fun to watch, too. Little Rock, AR—this state capital wins raves for its air quality, diverse economy and low unemployment rate. Even with homes nearing an average of $170K, it’s still a bargain among cities that are thriving. Kingsport, TN—this city truly believes in an educated population, starting a program that enables city high school grads to attend community college for up to four semesters free of charge. It’s also in the gorgeous Blue Ridge Mountains, and an average home price of only $110K on average. Columbus, OH—another state capital that has weathered the recession better than most of its state’s cities, Columbus has a permanent government sector job base, as well as a mammoth university and related industries. Homes cost an average of nearly $180K, but higher wages here than elsewhere in Ohio make that doable. Dallas, TX—forget the images of oil barons and huge ranches. People in Dallas pay a measly $780 for their mortgages each month. That’s incredible. Local taxes are low, too, and just about anyone that you know who lives there loves it. Pittsburgh, PA—you can walk in downtown Pittsburgh and believe that you are in a much larger city. You certainly will know that you are in a well-planned city, as you navigate across the rivers and take in many new shops and restaurants. When you return home and open the mortgage bill, you’ll appreciate that it’s around $800. That’s outstanding for a major league city with three professional sports teams. In Reality, to obtain a mortgage similar to your iphone 5 bill you would most likely have to put a significant amount down, but it is certainly not out of the question if you have that liquid cash laying around.